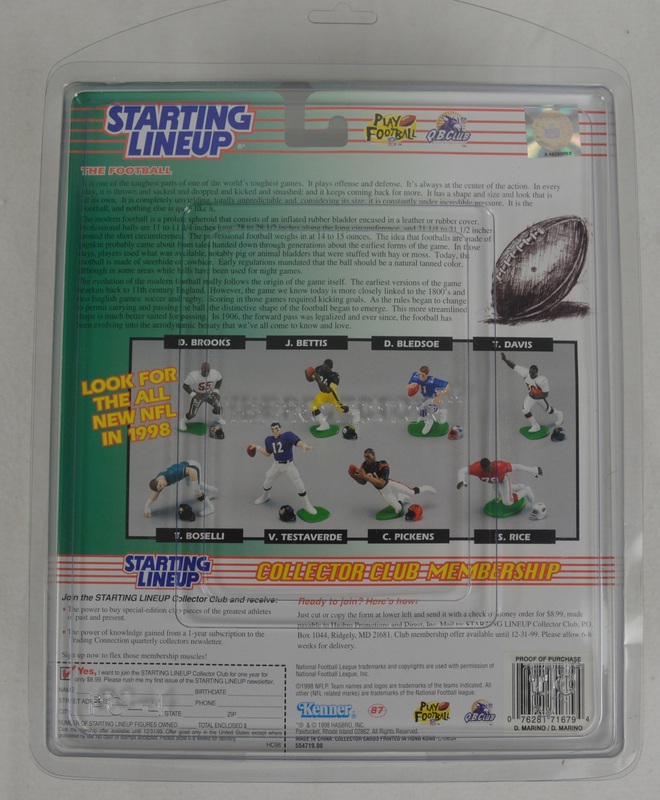 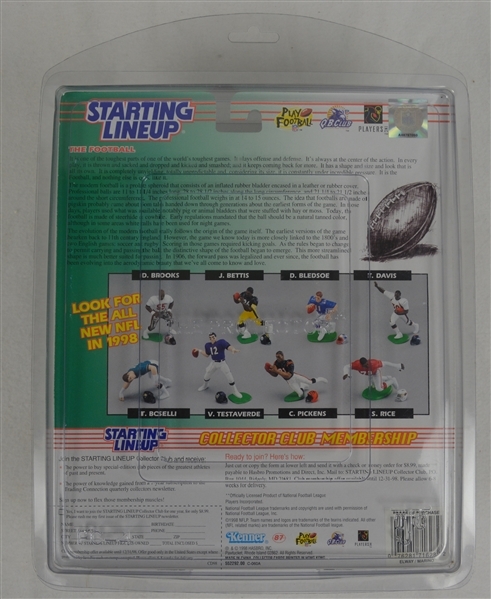 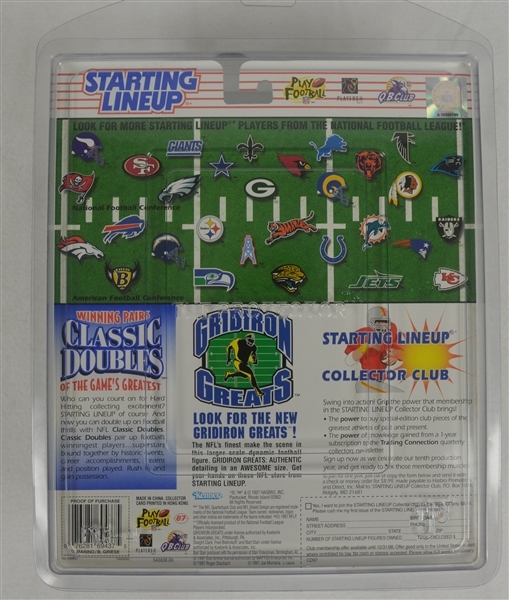 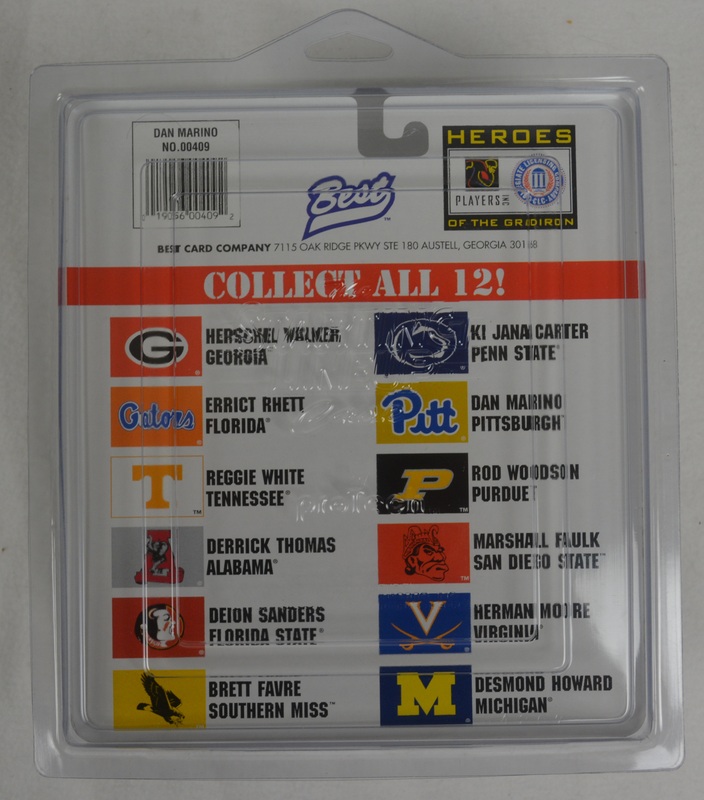 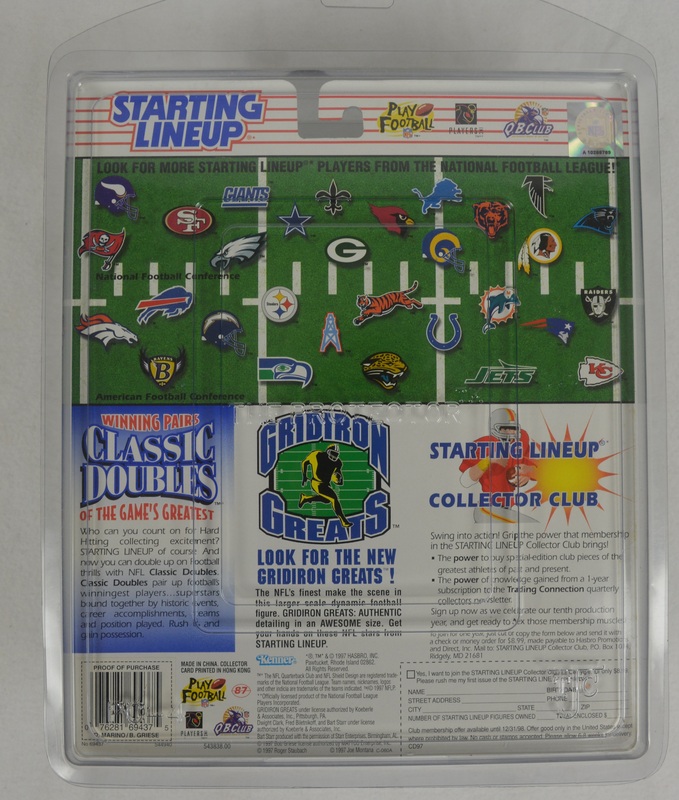 This lot features a collection of 8 Dan Marino Starting Line-Up figures still sealed in their original packaging. Each remains in its original packaging and includes a special 2-piece snap together Starting Line-Up plastic holder for protection. 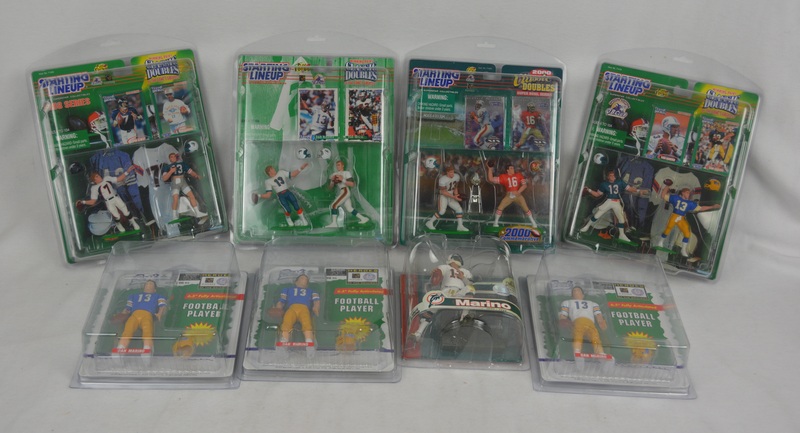 They remain in mint condition. Marino held or currently holds dozens of NFL records associated with the quarterback position. 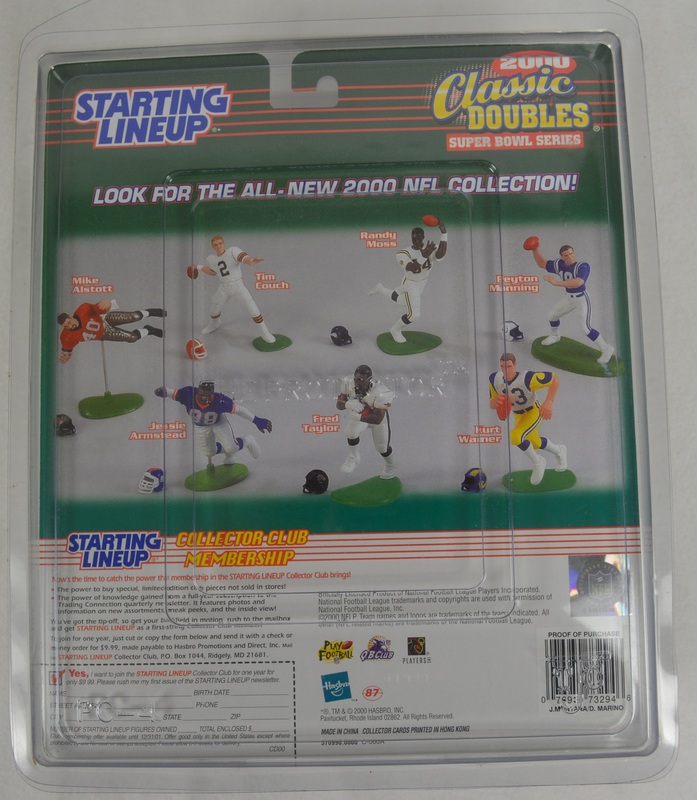 Despite never being on a Super Bowl-winning team, he is recognized as one of the greatest quarterbacks in American football history. Also included are classic doubles with John Elway and Joe Montana.